Facelifted Hyundai i10 to go on sale in January | What Car? 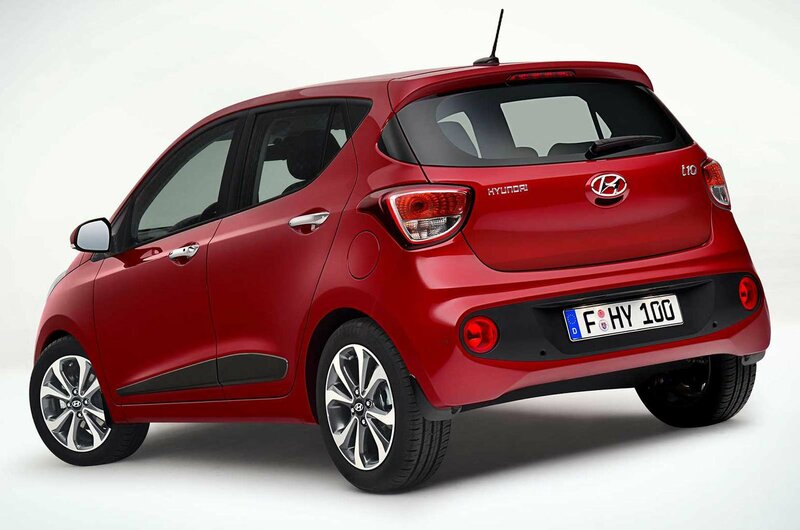 City cars don't get much better than the Hyundai i10. It has been our City Car of the Year since 2014, managing to retain its market-leading position amid keen competition from rivals such as Volkswagen Up, Skoda Citigo and Seat Mii. This lightly facelifted version is due to make its first public appearance at next month's Paris motor show, and will go on sale in the UK in January. 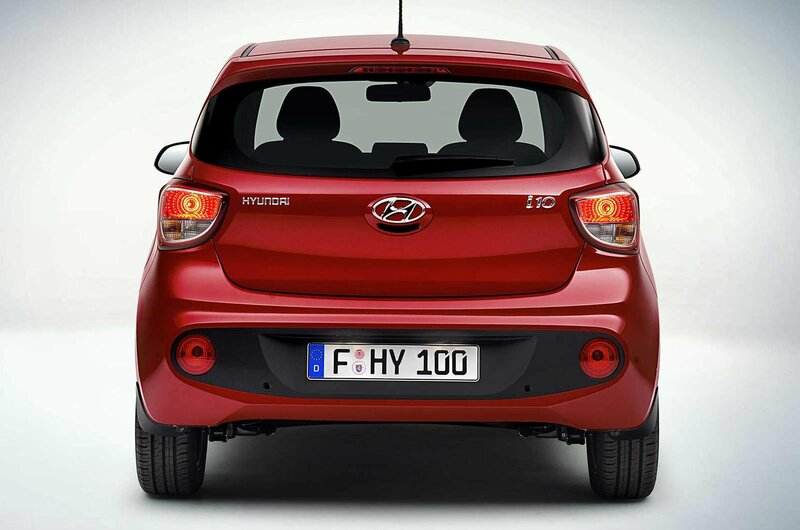 The current i10 has been with us since 2013, so this refresh is designed to keep the car competitive against ever-advancing rivals. 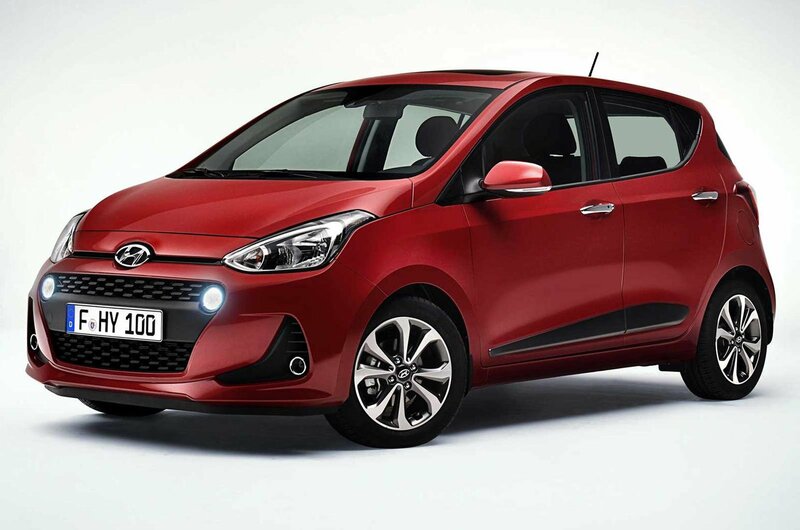 What's new for the Hyundai i10? 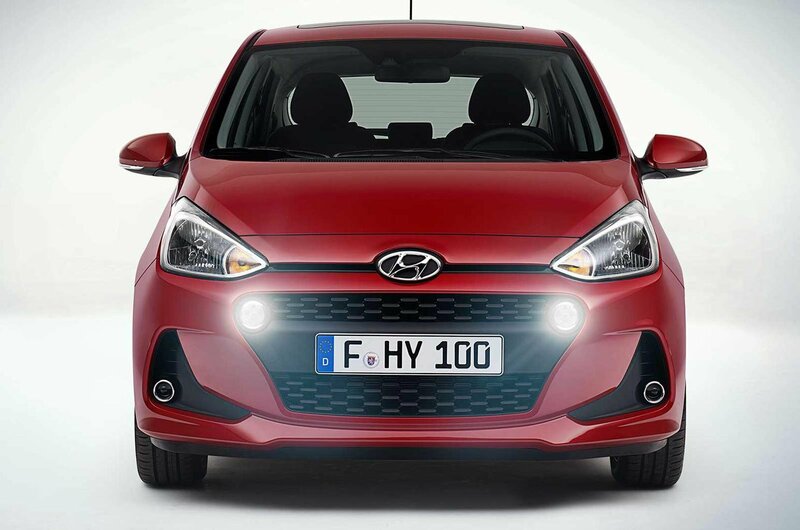 The i10's light styling changes mostly affect the front of the car, which has a new front grille design. Interestingly, Hyundai says it plans to use this grille design for its future models as well. A reprofiled bumper features at the rear, too, while the car's side mouldings - which are designed to protect it against scraping from shopping trolleys and car doors - get a new shape. Inside, there are new cloth trim colours to choose from. One of our biggest complaints with the current i10 is the lack of a proper infotainment system - until now, buyers have had to make do with an older stereo system. 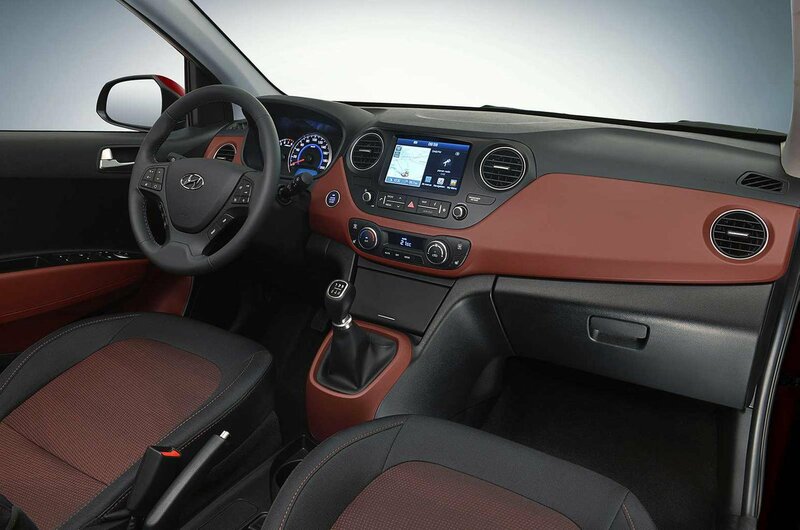 For this latest model, Hyundai has added a 7.0in touchscreen which will give drivers the ability to control their smartphones through the car with Apple CarPlay and Android Auto functionality. 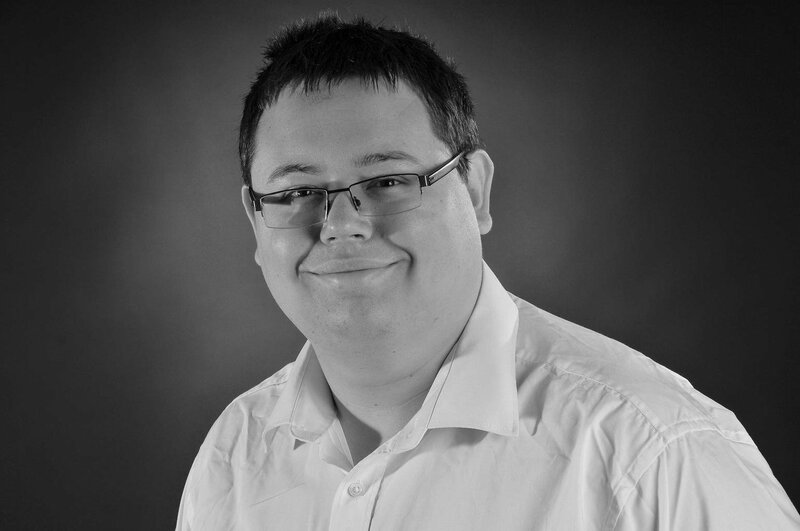 The system also offers sat-nav, and buyers will receive a seven-year free subscription to the LIVE service, which offers real-time traffic updates and local weather forecasts. Final specifications for the facelited i10 are still being decided, but we expect only high-end versions of the i10 to be offered with this new system. In terms of new safety equipment, the i10 now gets a front collision warning system, which alerts the driver if they're about to have a crash, and a lane departure warning also features for the first time. Like the current car, the facelifted i10 will be powered by two petrol engines - a 1.0-litre and a more powerful 1.2-litre. We'd stick with the more powerful 1.2-litre option, as it's more relaxing to drive on faster roads. If you do opt for the 1.0-litre version, then it's still sweet-revving and is one of the quietest three-cylinder engines around – although it does run out of puff on the motorway. Also carried over to the new car is Hyundai's standard five-speed manual gearbox, and a four-speed automatic is also available. Hyundai hasn't confirmed how much the facelifted i10 will cost when it goes on sale in January, but we'd expect prices to increase slightly over today's car, which costs from £7995. However, even with a price tag of around £8400, the i10 will still be competitive against its key rivals. 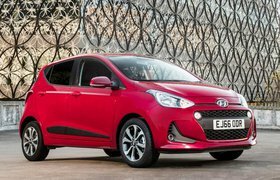 The Seat Mii and Skoda Citigo are priced from £8440 and £8275 respectively, while the Picanto, from Hyundai's sister brand Kia, costs from £8095.